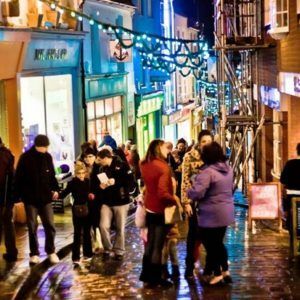 Our Guest House is conveniently located close to Folkestone’s town centre. 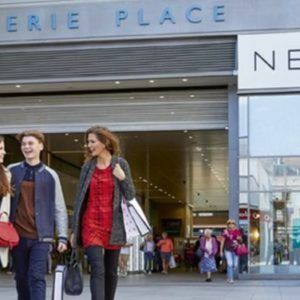 Folkestone’s mainline rail and bus stations are only a 2-minute walk from the Guest House, making it the perfect base to stay, from which to visit family and friends in Folkestone and surrounding areas. The Channel Tunnel Terminal, to France is only a short 5-10 min drive from Folkestone. If you are traveling from Dover to France the high-speed sea-cat and Dover ferries are only a 10-15 minute drive from Folkestone. From M20 take the Junction 13 exit and turn right towards Folkestone. At the second set of traffic lights keep to the middle lane and go straight through. Follow the road to the next roundabout (1 mile). Go straight through the roundabout. 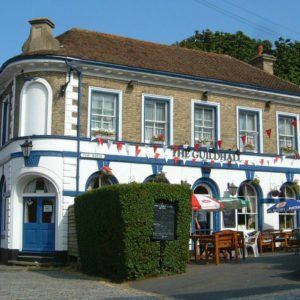 Chandos Premier Guest House Folkestone is a 1/4 mile (0.4km) ahead on the right-hand side. From Folkestone Central Station come out and turn right to Cheriton road. This will take you under a bridge. Follow Cheriton Road to the left. This will take you to a road that will go left. Go left and we are about 15m down on the right. Total of around 100m to 150m. 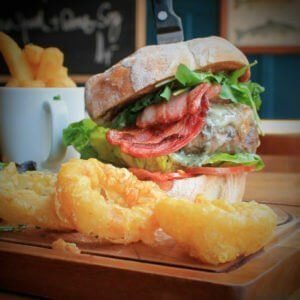 The Chandos Premier Folkestone is well located, close to buzzy Folkestone Town Center and its good restaurants, bars, pubs, cafes, and shops. 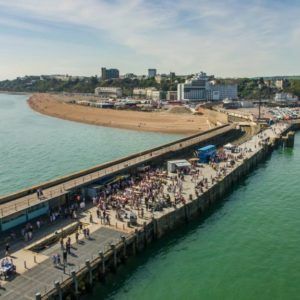 We are also near popular festivals and some of the biggest attractions in South East Kent as well as some of the best sights of the South East England Shoreline.